I traveled in and out of Alaska for four years before I decided to make it my home. I fell for Alaska hard and can’t imagine living anywhere else right now. Once I decided to stop full-time traveling and have a place of my own, my friends and family decided it was time to come up for a visit. I’m always asked if I have packing list for Alaska, whether it is a weekend or a 3-week trip. Alaska is a little bit different than packing for other vacations as the weather changes multiple times in one day. This is a good list of what to pack for an Alaska adventure, whether you are taking an Alaska cruise and experiencing shore excursions or if you are doing a self-guided tour of our amazing state. Have any questions about my Alaska Packing List? Ask away in the comments and I will do my best to answer you! Disclosure: This post not only has some amazing tips on what to pack for an Alaska adventure from someone who has been there, but also Affiliate Links that I earn commissions from. This is how I make a living and keep this little blog running. Thank you for supporting me! I appreciate it. Much love, Kristi. Let’s start out with one of my favorite topics – tech! Don’t even think of coming up to Alaska without your tech gear firmly figured out. There is Verizon 4G in Anchorage and throughout a lot of the state. BUT the vast majority of Alaska is either 3G or there simply isn’t any cell service. Same with WiFi… you will have it in the major towns, but you will not get super fast service everywhere. This also means that you will drain your phone’s battery while it is trying to connect. I can’t stress this enough – when you are out in the middle of enjoying Denali National Park or on a day cruise out of Seward, do not expect to have any service of any kind. Also, make sure you have a good DSLR camera. 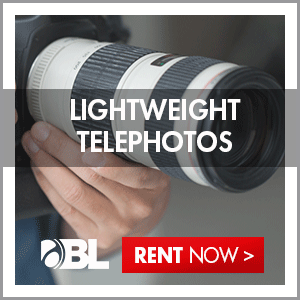 If you don’t have one, then rent one from BorrowLenses. You will need a telephoto lens for wildlife. In case you are a little bit like me and want to get close to a bear, you really shouldn’t. Whales won’t come super close to the boat and rarely pose for a photo. Ha! That might be a good thing though! Weego 12000mAh Jump Starter Charger – it charges my phones, tablet, laptop, and even my car!! Zoom 12000mAh Power Bank Battery Charger – yep, I have two power houses for battery chargers. Needed! 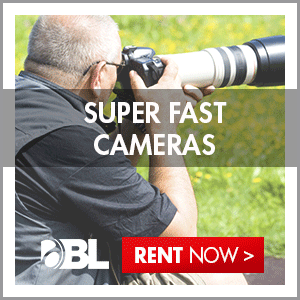 Canon T5i with Zoom Lens – This is a great starter DSLR and takes amazing pictures. Macbook Air or whatever laptop or tablet you use. Bring the lightest one you have! Camera or regular backpack to carry all your gear. I’m a GoPro Blogger and they sent me their GoPro Backpack to test out, which is by far, the best tech backpack I’ve ever owned. It even has space for a hydration pack. Perfect for water or even some amazing Alaska craft beer! Oh, and if you have a GoPro, bring it along with all of your mounts. You never know when you will find yourself in the middle of an Alaska adventure and need your GoPro Floatie! You never know when you are going to find yourself kayaking in the middle of a glacial lake, like Kenai Lake. Alaska is not the place to bring your fancy dresses and high heels in the summer (unless you are on a cruise, read my Alaska Packing List for a Cruise). Most people wear XtraTuffs with their sundresses or flip flops. That is about as dressed up as it gets around here. Make sure to dress in layers as it will be chilly in the morning, quite warm throughout the day, and then colder at night. For those coming up in the summer months, the sun really doesn’t set, but it will start to cool down around 8pm. You will need a few different kinds of shoes though – hiking, running, rain boots, and flip flops. Don’t worry if you don’t have everything. We have a REI, Cabela’s, and Bass Pro Shops in Anchorage with enough gear to keep you happy and safe out there. Seriously – you never know what you might end up doing in Alaska – like slayin’ Salmon! XtraTuf or Muck Boots – I have both pairs – love them! Hiking Boots – I have both Merrill’s for trail running and Timberland’s for on all day hike that are also waterproof. Hiking pants – get ones with Insect Shield if you can. The mosquitos in Alaska are like small birds, no joke! A pair of jeans, hiking shorts, and my fave – Lularoe leggings. Fleece jacket – it gets chilly, get one with a lot of pockets too – so handy! Rain jacket – Alaska is in a temperate rain forest and rainstorms are common and often come out of nowhere. A waterproof puffy jacket instead of both a fleece and rain jacket would be ideal. Wool socks – trust me on this one. A hat, especially if you are going hiking or will be out on a boat. There were things that I never knew I always wanted. Like extra strength mosquito repellent – seriously, these things are the unofficial bird of Alaska – THEY ARE HUGE. In some areas of Alaska there are um, outhouses. Not a bad idea to bring along travel wipes. The water here tastes amazing and very few people buy bottled water. Bring an empty bottle like a HydroFlask and keep filling it up with tap water – or buy one once you get here to have as a souvenir. There are places that you can stop to fill up that bottle right on the side of the road as the water comes out of the mountain straight from a glacier! I kid you not! Bear spray – don’t pack this one in your suitcase! Bears are out and you need to be bear aware at all times. Just buy it at REI when you hit town. Sleep Mask – it isn’t called the Midnight Sun for anything! Here are some books that I recommended to bring with you. Also stop by REI to get a local hiking trail map. Alaska on the Go: Exploring the 49th State with Children My friend, Erin Kirkland, wrote this one!